There are people I know who love airports, claiming them to be like giant service stations full of food and entertainment. I couldn’t agree less. I power my way through them, earphones in (even if I’m travelling with somebody else), despairing at the enormous queue for a coffee early in the morning and never being able to find an actual chair to sit in. I’ve started supplementing my bargain flights with a little added luxury to take the pain out of air travel, occasionally opting for a faster route with a direct airport train service instead of the tube. I’ve even discovered that you can pay £5 at Gatwick departures to go through a ‘quick security’ line, something I’ve only ever experienced when indulging in lounge access! The ultimate luxury though? 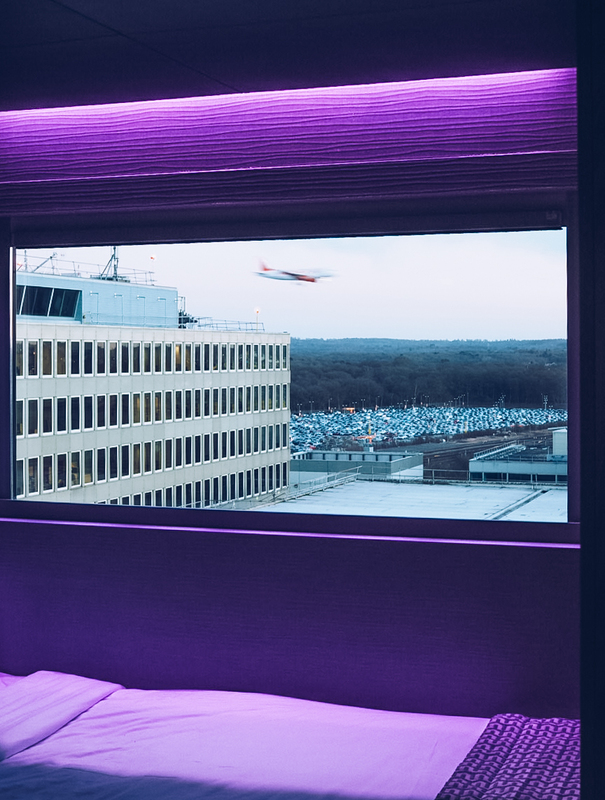 A hotel in the airport, all prepped for me to sleep in until the last possible moment before an early morning flight. 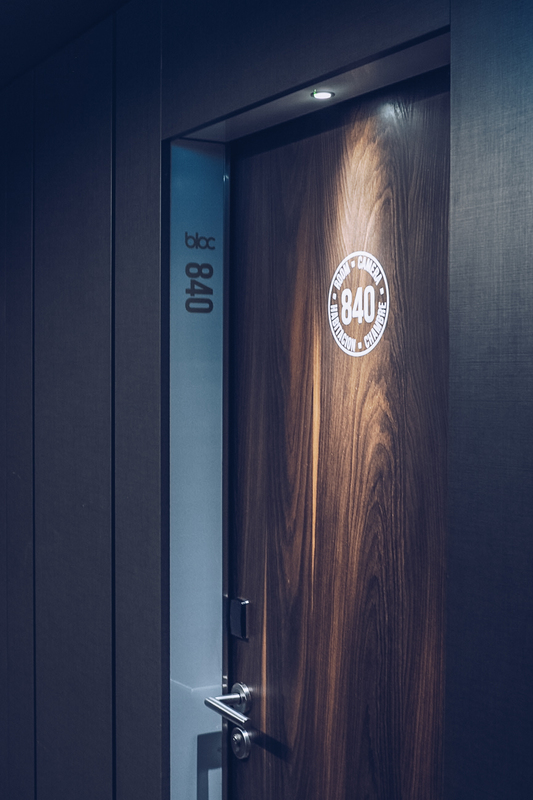 I’ve previously loved the quirkiness of a capsule hotel in Gatwick, but as my trip to Budapest was for the special occasion of my boyfriend’s 30th birthday, I upgraded our accommodation to Bloc Hotel. 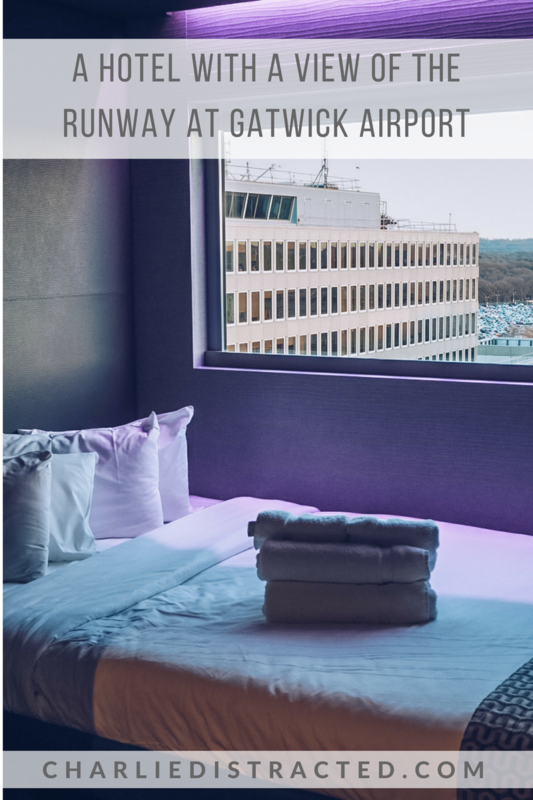 Also located in the South Terminal, it’s still compact, but elements of a stay there are a step up from any other airport hotel I’ve stayed in before. 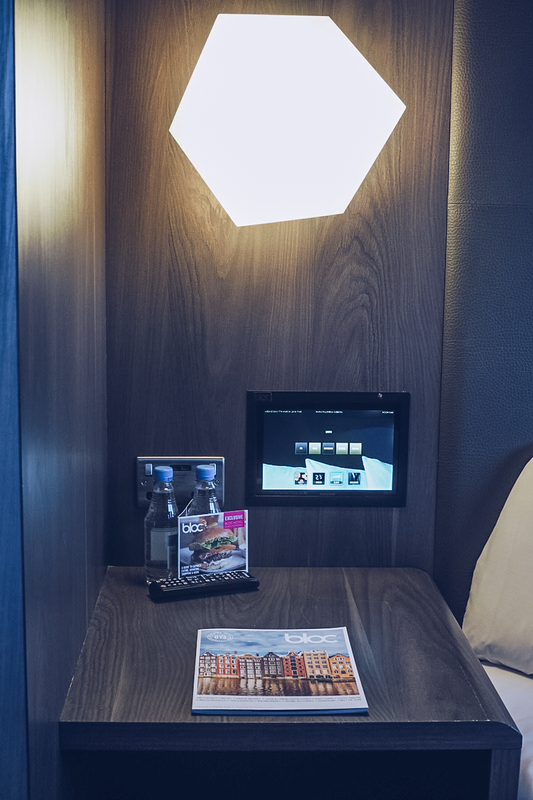 Following along the route of other smart hotels like Citizen M, Bloc prides itself on tech-y elements that are a fun novelty for a one night stay. Lights, blinds and TV are all controlled from a tablet on the wall, which means the first 30 minutes after checking in, we were basically just trying to figure out how things work. 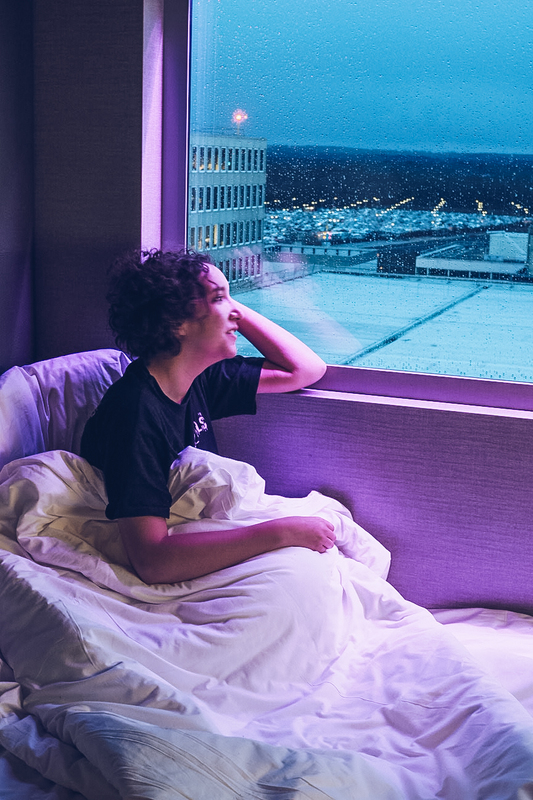 It’s the home setup of the future, I’m sure, but frustratingly there isn’t a way of turning of the purple mood lighting around the top of the window (as far as we could find anyway), so being the light-sleeper that I am, I had to wear my trusty eye mask to get some decent shut eye. The huge draw to Bloc though, was the view from the Vista Double Room. Facing out over the landing path and runway of the South Terminal, we could see planes coming in to land from the left, whilst peering over to the right to watch other ones take off. It made us turn into giddy children, downloading an app to tell us where the planes were coming from or heading off to, timing how long it was taking between each arrival and guessing which would fly past next. I’m no plane nerd (despite my older sister working in aviation and my nephew having an endless knowledge about aircraft because of it! ), but there is something magical about seeing planes in their natural environment, as it were, rather than just flying way above us. The incredible sound proofing meant we barely heard a rumble, thankfully. 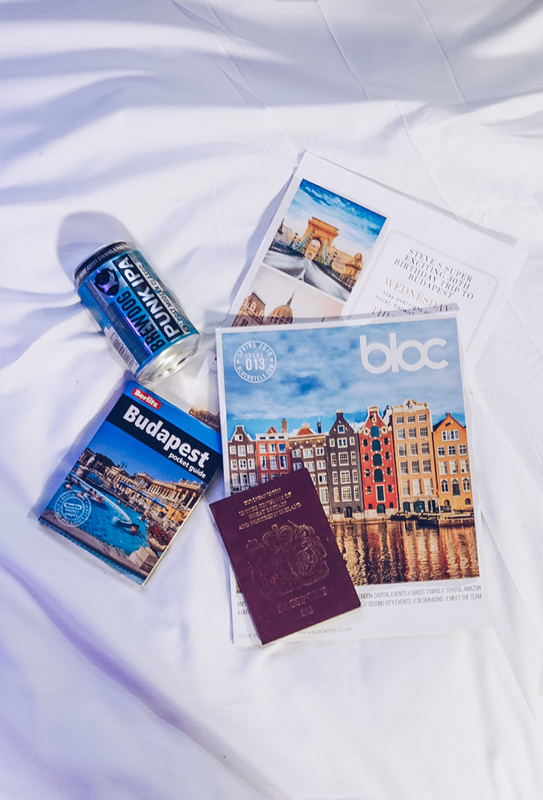 A stay at Bloc meant sleeping well, having time to shower and actually put a bit of slap on (which is just as well as we bumped into my office’s annual ski trip in departures at 6am *face palm*), saunter through security and grab a pastry before boarding. But it also meant the excitement of our holiday started 12 hours early, with a very special view from our hotel window. 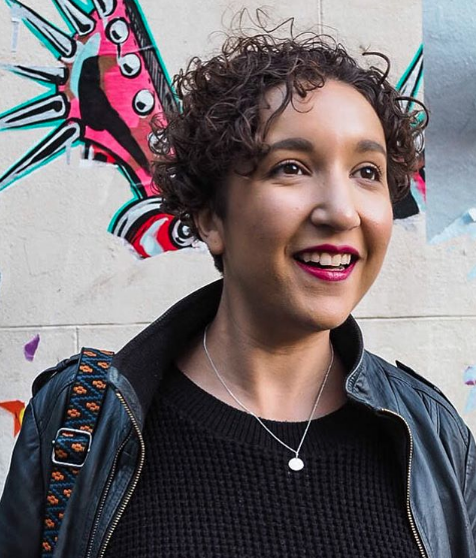 *I was offered a discounted rate on accommodation at Bloc Hotel. All words, opinions and photos are my own.